 Random Note, Will the Circle Be Unbroken?, Get Back signals. The beginning of My Friend and all of The Horse featured Trey on acoustic guitar. The intro to Bowie included Simpsons, Random Note, Will the Circle Be Unbroken?, and Get Back signals and an Amazing Grace tease from Mike. The breakdown in It’s Ice included a tease of one of the guitar lines from Discipline (King Crimson) and a Manteca tease. Crossroads made its Phish debut at this show. 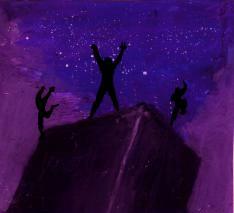 Weekapaug contained an Amazing Grace tease from Page and was unfinished. The Amazing Grace Jam was played to a Weekapaug-esque drumbeat. 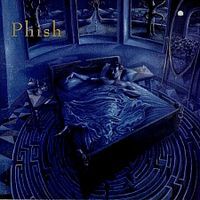 Phish really turned a corner in 1993; this show, of which swell recordings are available, is one of the year's canonical performances. The Bowie is an all-time classic, as is the closing Amazing Grace jam. 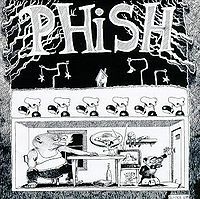 If you're building an early-Phish collection, don't hesitate to pick up a copy of this show. With due respect to @DollarBill, whose early-Phish reviews are invaluable, I have to disagree with his review of this show and agree with, uh, the other reviews of this show. 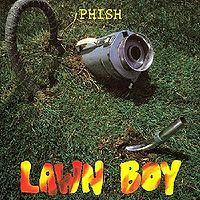 The second set, in particular, is my go-to for pre-94 Phish, even over anything in August '93 - the Mike's and Weekapaug here are short but played with so much gusto; the segues into and out of an explosive Crossroads (not bad for a debut!) are a joy; the Bowie is (to me) glorious and energetic as opposed to sloppy (where you might hear a "mea culpa for the fuckups" in Have Mercy, I hear a charming tonal shift); and the Amazing Grace jam, short though it may be, is truly uplifting once they get the Weekapaug beat synced up. Sure, there're some moments where the band could be tighter, but this is surely not the only famous show where you could say that, and the driving power of the jams overcomes those less than perfect moments (much like the Bomb Factory, which also has some fugly moments). The first set's fine (don't miss the Stash/Kung/Stash), but this second set holds together remarkably well considering how much terrain it covers and is a real must hear in my mind. If you have the LivePhish version, you also have a killer Tweezer and YEM, both of which are probably better than anything from this night. Still, this is a desert island show for me, and considering my post-96 leanings, that's saying something. This was my first Phish show: I was a virgin in this culture and by the end of the night I would be hooked for life. It was the spring 1993 tour closer and I couldn’t have asked for a better show. One of my favorites, “Chalk Dust”, opened up the gig and set the twenty-five hundred-plus crowd dancin'. They played a variety of classics right after, including “Guelah”, “Rift”, “Mound”, and “Stash”, but this was not your normal “Stash”. This version started off quite energetically and continued to get even better due to Trey and Fishman’s timely playing. Then they slowed down the jam a bit and started singing the ole’ “Kung” chant. Trey and Mike started singing into the microphone a bit as the ending riff came back to complete the “Stash-> Kung->Stash” sandwich. “Glide” was next, which is now considered somewhat of a rarity. Then Trey pulled out his Martin acoustic to play the intro to “My Friend, My Friend”, which included great drum work from Fishman. After that they got the crowd hopping again with “Reba”, then a very rare Duke Ellington cover called “Satin Doll”, which they played for the whole crew. Trey actually named them all, prior to closing out a great first set with “Cavern”. The second set had a few treats to say the least. One of my favorites at the time (and now) opened the second set, “David Bowie”. The intro had a couple of secret language cues, the Simpsons signal as well as the “sing a random note” signal. Then out of nowhere the whole band starts jamming on “Jessica” by the Allmans! It never really took off completely but it was clear that the band was having some fun. This “Bowie” goes through a very hypnotic and heavy hard-rock jam to start things off, before it lightens up and fades melodiously into “Have Mercy” and then back into “David Bowie”, completing another fantastic segue sandwich! A couple of delights came after including an acoustic intro to “Horse”, a great “It’s Ice” and “Squirming Coil”. Then, just as the “Coil” solo ended, the band started to take off in a random jam that got everyone grooving for the Big Balls to come out, as the jam segued in to “Big Ball Jam”. The crowd was quite adept at getting the three shots, and as they finished the “BBJ” Trey broke into “Mike’s Song”. In my opinion this is a legendary “Mike’s Song”. The energy that poured out of this “Mike’s” was uncanny. Page was happy to be using his new Hammond organ, as was evident from his inspired playing in this “Mike’s”. In the midst of it all, Trey led his three comrades into the old Robert Johnson (more recently Cream/Clapton) cover, “Crossroads”. It was the first time they ever played this one, and they did a pretty good job of it. This segued back into “Mike’s”, thus completing the third segue sandwich of the night, and the rest of the Groove (“Hydrogen” and “Weekapaug”) followed. The “Weekapaug” was followed by “Amazing Grace”, which then led right into an “Amazing Grace Jam”, with the band playing “Grace” with instrumental accompaniment and thanking the crowd for supporting them and for coming to this, the tour closer. The encore, “AC/DC Bag”, was simple but left everyone with a smile on their face. It had only recently come out of hibernation earlier that spring in Atlanta. Although this was my first show, it still remains one of my favorites and a classic Phish performance that all should hear. This was my first full length show, I had seen the boys at some WBCN new music showcase with the Spin Doctors the year before. We shot down that afternoon from school armed with our tickets and a friend of a friend's phone # for a place to crash. The show was awesome for me personally even tho I remember the acoustics being pretty crappy they figured it out after a couple of songs. Since I had just gotten into PH!SH I didn't know any of the songs but really liked what I had heard and then crossroads was played. I knew that and it was among the first of my many epiphanies about PH!SH. Yes, they may play cover tunes but they make them their own and almost always improve on the org song. The AC/DC encore became my favorite live song till I heard Sanity a few years later. After the show, the friend of the friend wasn't very happy when we arrived on his doorstep with six people. After some commerce between us, he relented and I slept on a strip of carpet in the kitchen. Good times. Yes, the OTHER 5/8 show. This is the last show of an incredibly long spring tour and it ends the trek in fine fashion. 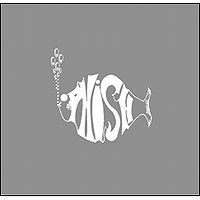 This is also the first show I ever listened to; I picked up the LivePhish release on a whim after I started to grow tired of listening to nothing but the Dead. This show introduced me to an entirely new world of music and for that reason it holds a special place in my heart. A rocking Chalk Dust Torture sets the tone for the night and is very well played, with Trey's solo peaking in all the right ways. From here we move to a strong Guelah Papyrus and onto Rift, a lethal combo that the band opened with quite often those days. From here we move to Mound, a tune that is still growing on me. An average version here, but the boys are clearly building steam and are in exceptional form. One of my all time favorite versions of Stash is next. The composed section is nailed and the jam takes a menacing turn soon after. Trey sounds incredible here as the tension builds, Fish keeps excellent time with his hi-hat and Page slams on his Piano in perfect rhythm. Trey's wails around 8:25 are everything I love about Stash. Peaking soon after in incredible form (10:08 is just insane), the music descends and soon we smoothly segue into Kung, seemingly out of nowhere. Feedback echoes throughout and soon we EXPLODE from this exceptional Kung and back into Stash, which ends with Trey melting what's left of your face and leaving no loose ends untied. Absolutely exceptional playing from everyone here. We come down with Glide, which is played well. My Friend, My Friend is also strong, and takes us into another highlight, Reba. Again, the composed sections are handled with care and the jam emerges in a bouncy, groovy form. Trey's playing dances around Fish and Mike's rhythms and Page plays delicately but with purpose. Things soon get very quiet, and it's the Page and Trey show. Trey finds this neat little riff that is actually quite beautiful. The crowd claps along to this repetitive but powerful series of notes and the jam begins to escalate from there. He plays a very similar, but slightly more sinister, version of that riff as the music builds and around 9:50 or so we have liftoff. The peak is astonishing, which is extra impressive since this Reba is relatively short (11:30 if you subtract the whistling ending). Fantastic Reba with whistling taboot. One of my favorites. Trey thanks the crew and invites the crowd to do some 'traditional dancing' as Page leads Satin Doll, which is very nice, even without the novelty of it being the last ever played. Cavern is a nice way to end this great first set. On to set two, David Bowie opener. Almost enough said, but I have to mention the brief but very fun Jessica jam in the intro. A little secret language and off we go. A very energetic Bowie soon slows to a snail's pace as Trey finds a seriously heavy riff and repeats it over and over, with the rest of the boys following suit. Like a train leaving the station it slowly builds from a crawl to a dead sprint. When it's really getting fast everyone yells and moans to the music, which adds quite a bit. Soon Trey's above the clouds shredding and the music turns bouncy, descending into Have Mercy. The segues are on point tonight. It's played fine and we return to Bowie (at warp speed) and Trey repeats a long whine over and over before entering the outro segment. Solid Bowie but personally I don't believe it to be must-hear or one of the all-time greats (see: 6-18-94, 7-30-97). Acoustic Horse is played perfectly and for a long while (I believe this is the longest Horse to date). Silent is pretty average but I actually like its placement here. Ice is next, a song I'm always happy to hear. The jam sounds similar rhythmically to the main theme of the song but Page really sounds great. Check out the descending notes at 5:23. My absolute favorite version of Coil follows, and features a stunning, extended Page solo and a killer blues jam tacked on near the end. It's a bit of a preview of the Crossroads debut to appear later on. Hear this Coil -> Jam at all costs. The big balls come out next and Trey starts to play one of my favorite Mike's Grooves. Vocals are strong here and we drop into the jam forcefully, with Mike's bass seriously digging deep and Page teasing some organ lines. Trey joins and at 4:08 things get dirty before we settle swiftly into the Mike's Song outro. But things are different this time, with Page laying down some mind-numbing organ and Trey repeating one hell of a sweet riff. My words aren't really doing this justice. Mike plays the bassline to Crossroads and the band takes its time with the segue, something I miss about the old days. A few timing issues don't mar this killer combo. The first solo melts face and the second little jam segment fades into a rhythmic platform for Page to show off, and he does. Really hot stuff for a debut. A return to the Mike's outro, and a nice but standard run through Hydrogen and Weekapaug complete this sweet Groove. Amazing Grace looks like the closer, but the band picks up their instruments again and slays the crowd one last time with a Weekapaug-esque Amazing Grace jam. Heady stuff, another highlight on this night of highlights. The lone encore is Bag, which is actually exceptional. I really enjoy this short, but sweet, version. One hell of a bid farewell, this tour finale is everything I've grown to love about early 90's Phish, it's all here. Serious improvisation is backed by humor and fun, and the creativity flows from one note to the next. Get this show. I am not sure how to process that DollarBill review. I have seen more than 300 shows since 1991, and this show is one of the very best. The venue was small and sweltering hot. It had pull out bleachers in the back like you probably had in your high school gym. The energy in the room was electric. To me, this show represented the end of an era of intimate small venue Phish. I think the band knew it too, as they quickly vaulted into amphitheaters and arenas in the months and years that followed. It was a special night for everyone that was there. I don't know how you could listen to this show...particularly Set 2...and not get the chills. To some extent, it may have some of that "you had to be there" stuff going on, but I believe the music speaks for itself, regardless. If I could give it 6 stars I would. I could count on one hand the other shows that rivaled this night for me in emotional significance. Another one of the first complete shows I ever received on cassette. This show was an early for good reason: it features the band performing at their highest level up to that time, with lots of musical interaction and communication during the jams. 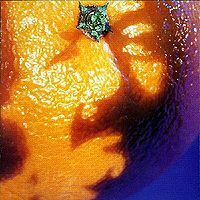 The Rift album was an early favorite of mine, so I enjoyed hearing a show that features so much of the material from that album [how times have changed, eh?]. The setlist notes do not do justice to this version of David Bowie: You must hear this performance. This show is certainly a worthy Live Phish release, and Kevin Shapiro has also featured the versions of Coil->Jam and Mike's Groove->Amazing Grace on FTA shows. Reading that one comment that this show doesn't flow with you doesn't not make it good. Torture > Guelah Papyrus > Rift seals the deal. How do those people fee about Set 2? Guitarists who hear this go nuts. I'm digging right in. Crossroads, My Friend, My Friend, Bowie. This is an unbelievably great show. Easily top 5 contender for the best of the year. CDT is a quick ripper to start and very well executed. Stash is top shelf quality, excellent version as many are from '93. It is also the first of several "sandwiches" throughout the night with Kung perfectly fit in it center. My Friend My Friend is the same impeccably played version you get from this whole year. Reba is also strong. Basically you get a set full of songs that have been the guys bread and butter the whole tour, and there's no sign of exhaustion from the road. Set 2 kicks off with likely the most famous non jammed out Bowie. The Jessica melody works perfectly over the Bowie high hat and ambience. It's played very well before yet another sandwich with "Have Mercy" which in just a couple months will be the epic final move in Antelopefest. The weave back into Bowie is flawless and the ending is everything you would want it to be. It's Ice is excellent and eerie. Fantastic Coil and excellent little jam after that goes into BBJ. Mike's has yet another sandwich (and I don't mean just I am Hydrogen), Crossroads comes in in very great form this is the 4th and final sandwich of the night. Holy crap! Weekapaug gets the very rare unfinished treatment before going into Amazing Grace. But it doesn't just end there they jam it a little bit, very similar to how Auld Lang Syne is at New Years. Just a great cherry on top of a legendary set. Bag makes for a great encore with it's peaky ending. The audience at this show got spoiled plain and simple. Sometimes tour closers show exhaustion in bands and not as many risks. This show is the opposite. So much experimentation and perfect execution. This was May 8th. They started the tour on February 3rd! At first you might think, wow, what a life. Traveling the country, making music and new friends...and making money too. But think about the best vacation of your life. Imagine that at the end of it someone says, oh no, you're not going home yet....we're doing this for three more months. Jeez, they went all the way down the eastern seaboard from Maine to Miami, all the way across the south to New Mexico, up to Colorado, down to So. Cal and all the way up the west coast to Vancouver. Then they meandered back through the midwest, up to Canada again for a bit, and back to the northeast for a bunch of shows there. And then on this epic tour ender, they pull off a heroic sprint to the finish. This was just a fantastic show...one of the very best of the pre-96 era. I always thought of this as sort of a companion to the following year's closer to another ironman tour... 7/16/94 in Vermont. Both have AMAZING second sets... just packed full of greatness. This one has the better first set though. My highlights here are Stash, Bowie, Coil!, Crossroads, and the special Amazing Grace jam, but there's so much more than that. True hall-of-fame material here. This is the fourth and last show at the Field House at UNH, 70th of the tour, and the last show of the tour! 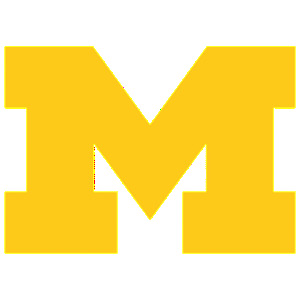 I can’t believe the schedule these guys had back in 1993. I think that was 70 shows in about 100 days all over the country! I can only imagine how tired they were as I’ve been listening and trying to play along with any song that I could, they had to do the real work from city to city. This unfortunately is not the best show, its sloppy and disjointed at times. I’m not saying it wasn’t fun, just not the greatest playing I’ve heard. The recording seemed to be from an audience source, and was pretty average for this tour. Chalk Dust opens up the show in a rocking fashion and was well played and so was Guelah. Rift is still loose in the timing from Fishman; they are not locked in yet. Mound also had some problems with Fish’s drumming and was just ok to me. Stash had some rough spots from Mike and Trey, but had a good jam in the middle, then inexplicably it goes into KUNG! Not sure why, but who cares? Glide was pretty good. My Friend had some off spots in the intro, but the song itself was good. Reba was also good for the most part, no real problems along the way. Trey thanks the crew then Page leads them through the last performance of Satin Doll. Cavern makes for a good closer to this average first set. Ok, now it seems a few people here think this Bowie is special, but I thought it kind of sucked. First of all, I wouldn’t call it a Jessica jam; it’s just a lot of teasing mostly by Page. There was a lot of screwing around and signals and the actual Bowie song was sloppy, disjointed and all over the place. I believe the proof is in the Have Mercy part, which I feel the band only plays when they screw up. Of course that’s just my opinion. Trey picks up the acoustic again for an ok Horse. Silent was ok, but had some rough spots and I think I even heard bad notes from Page! Ice was also a bit off from Trey’s part and the middle jam was weird. Coil also suffered from bad notes and sloppiness and the ending jam was kind of weird. Then the Balls come out… Mike’s was good and rocking, then the jam turned into Crossroads, after last night’s Harpua had a rough version of it. Hydrogen was ok, and then the top of Weekapaug got cut off from an old edit of some sort. Then the jam turns into a ridiculous Amazing Grace jam? The whole thing was sloppy and not that much fun to hear. I guess you had to be there right? Anyway, it was a weird way to close up the tour for my ears. AC/DC Bag is the lone encore tonight and was pretty well played.